Tom Palermo is General Manager of Preferred Automotive Specialties in Jenkintown, PA. Tom is a world class Master Technician and a Certified ASE Advanced Level Technician, is certified from ASE including Master Auto, MasterTruck, Master Truck Equipment, Master School Bus, Master Collision, Master Transit Bus, L1, L2, C1, X1, P2, F1 Besides the 2015 NAPA/ASE Technician of the Year, Tom also earned the 2011 AAIA-ASE World Class Technician Award from the Automotive Aftermarket Industry Association, National Institute for Automotive Service Excellence, and the Best Tech of the Year award sponsored by WIX Filters. The majority of Tom’s business is fleets. Listen to Tom’s previous episodes HERE. Bill Nalu is President of Interstate Auto Care in Madison Heights, Michigan and has been in business for 30 years. 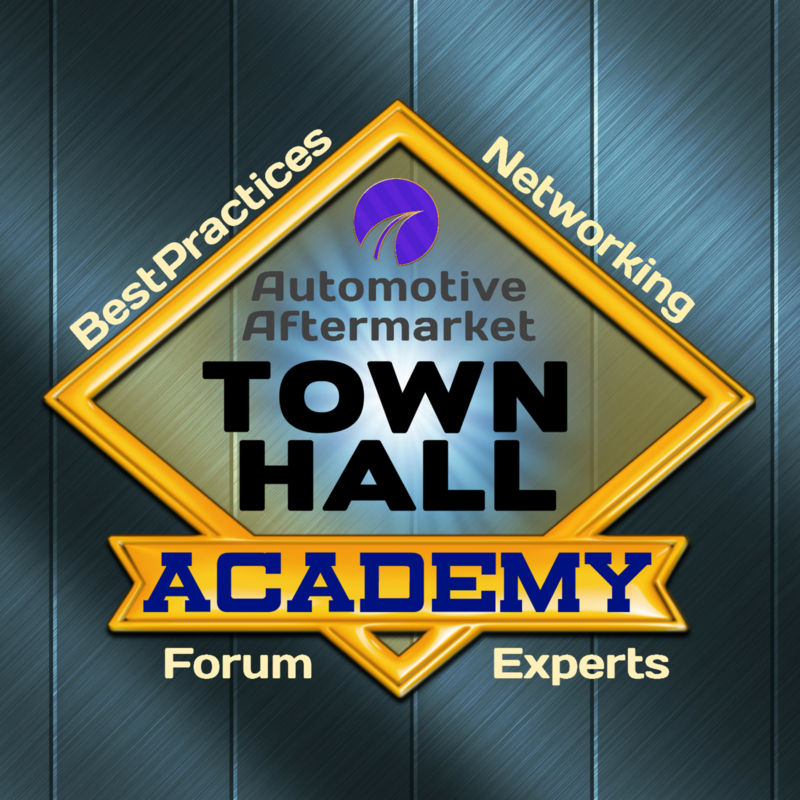 Bill collaborates with industry professionals, in building today’s “high-tech/old-fashioned” customer service system.Bill has been a big contributor to the podcast and he currently serves on several industry and educational advisory councils including AutoValue/Bumper to Bumper, Dorman Industries, and Cardone. Listen to Bill’s previous episodes HERE. John Constantin from Bison Fleet Specialists in Buffalo, NY, has strived to bring quality service and superior workmanship to the vehicle repair industry in Western New York. When John first started out as a technician, he was determined to identify with his customers, making sure every effort was made to maintain the integrity of Bison Fleet Specialists workmanship, and establish a long-term “care” relationship with each person who passed through their service center.John’s personal goal was to inform each customer of basic maintenance steps they could perform to keep their RVs, Trucks, Trailers, Buses, Campers & Cars running at optimum performance levels, achieved by following a few simple guidelines. Can’t go on a date if you don’t ask her out. You always need to be asking. Look for every opportunity. Watch vehicles drive by your shop and write down all names. Sit at a busy gas station and write down the names of the companies that are fueling there. Existing customer can steer you to a small fleet to start. Do not start too big. You can modify what you do daily to help integrate fleet business. By calling on potential fleet customers, you become an option to them that they never had before. You are now top of mind and can capitalize when a change is coming. Could take a week or a year. Ask when to follow up, Always on their time frame. Always be marketing. Stay in front of people. Find the right mindset to present. Go in with a presentation that you will be a value in their business. Answer this. Why would a fleet customer drive by three other shops to get to you? That is your value proposition. Put yourself in their shoes and come up with talking points to build a conversation instead of a sales pitch. Don’t present yourself as a salesperson. Remember, it may take a year or more to land a new fleet. Never stop working your prospect list. Revenue opportunity for the shop. Parlay your physical plant and people talent with fleet work. Every fleet has different expectations. The relationship matters. Establish a relationship. You must value that relationship as the most important part of the transaction. Honesty. Forthcoming. Integrity. Always in the customers’ interest. Loaner vehicles is a possibility in the service you provide. Ask the fleet manager what their exact requirements are. Do fleets know the level of support you will provide? Lay it out. If you’ll do towing they must know. Details. Understand their requirements and meet them. Most fleets have individual needs. You must be convenient to them. Never say NO. Always say yes. If it has an engine you can fix it. Remote starters, glass, collisions. You do it all. Sublet if necessary. Many fleet managers wear many different hats and you help them fill a special niche. Help the fleet systematize their controls so there are no major surprise breakdowns. Example of checking oil between services. It is 100% avoidable if an engine needs to be replaced because of no oil. Involve the fleet manager in the repair of the vehicle and continue to re-enforce the value of the relationship. The fleet manager is your customer, not the fleet administrator. Offer to have a training session for drivers and for any higher up in the company. Help them understand how the vehicle needs to be taken care of. Make a lifetime customer by helping the fleet manager see your value and help them with their fleet management decisions. Tom Palermo completely details all new fleet customer vehicles. The shop owner has a say in the safety and quality of repairs. The customer not the fleet administrator and is the most important part of the equation. 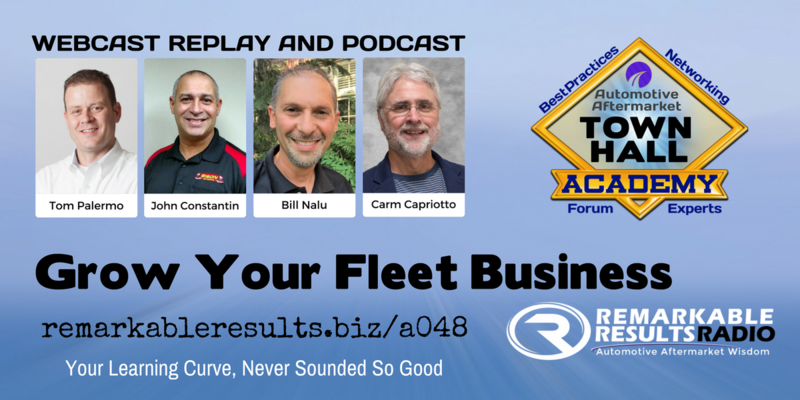 Fleets will review your website and even secret shop you. Create a fleet management program custom for every fleet. Never compromise your quality and reputation by doing any less quality work for a fleet vs. a regular customer. Your integrity must always rule. You can lose a large chunk of your business if you mess up. Be willing to change and get out of your comfort zone. Never do the job of the fleet administrator. Know your place and provide what they are asking for. The bar is raised and there could be political issues inside companies. Companies bought out and things change and will do fleet maintenance on their own. Don’t oversell and talk too much as you are out recruiting. Peak their interest and stop talking and let the fleet prospect talk. Focus on delivering their needs. Every proposal must be unique to that customers. Show how you can help them get better. Don’t give up. You must be constantly marketing and recruiting.